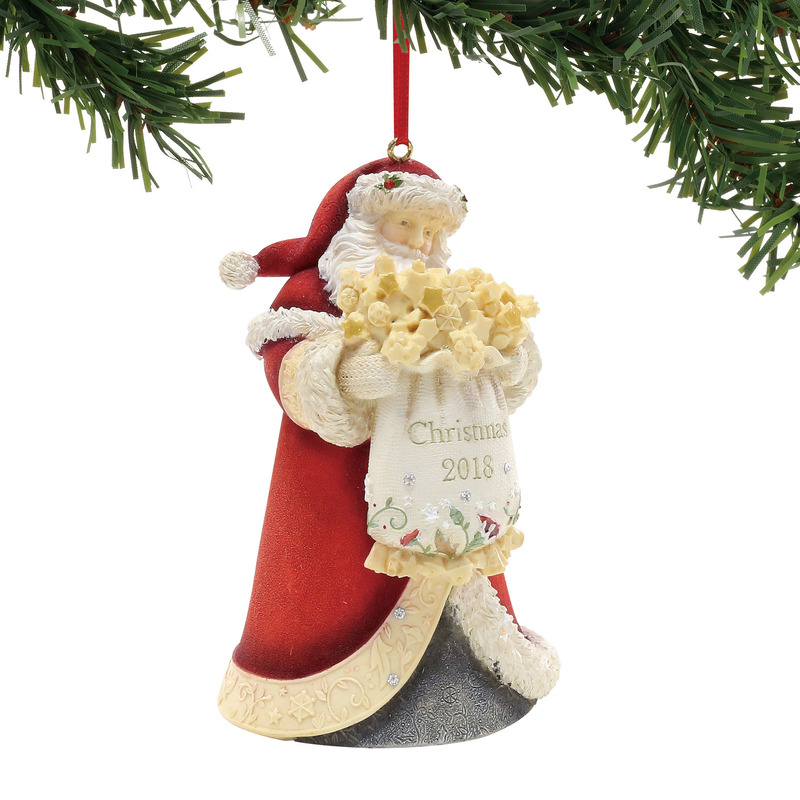 This beautifully sculpted Santa holds a bag full of snowflakes. .
A very, very cute ornament. I like the idea of Santa giving a bag of snowflakes, especially since we had a snowless Christmas.